Product Info - The Diaper Clutch carries your diapers and wipes containers in one convenient case. 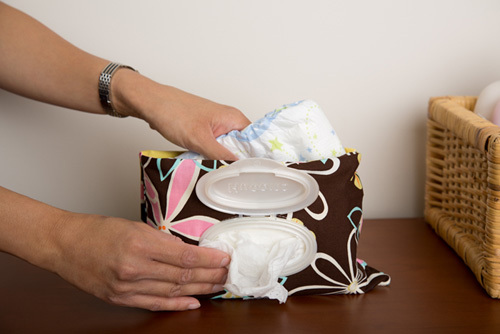 The Diaper Clutch features the original easy-access wipes window which provides an opening for your wipes containers that have their own dispensers. How to Insert Wipes - The Diaper Clutch is compatible with most disposable soft pack of wipes with hard top covers. Where to Buy - The Diaper Clutch is sold in various baby boutiques and stores around the globe.